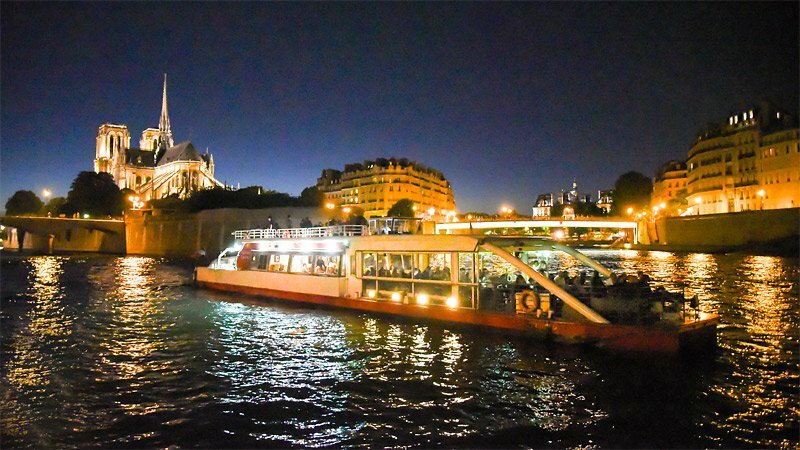 Light” by the Japanese artist Keiichi Tahara, promises a magical experience. 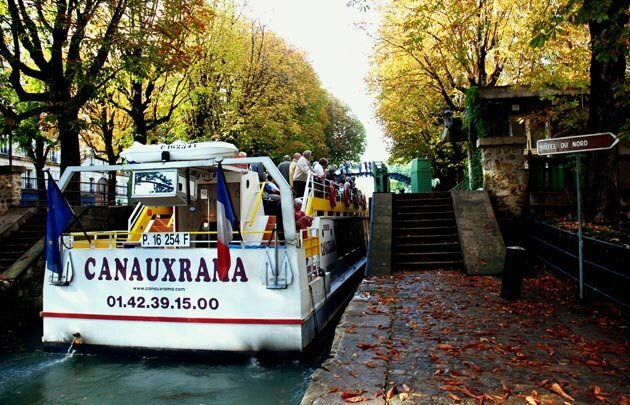 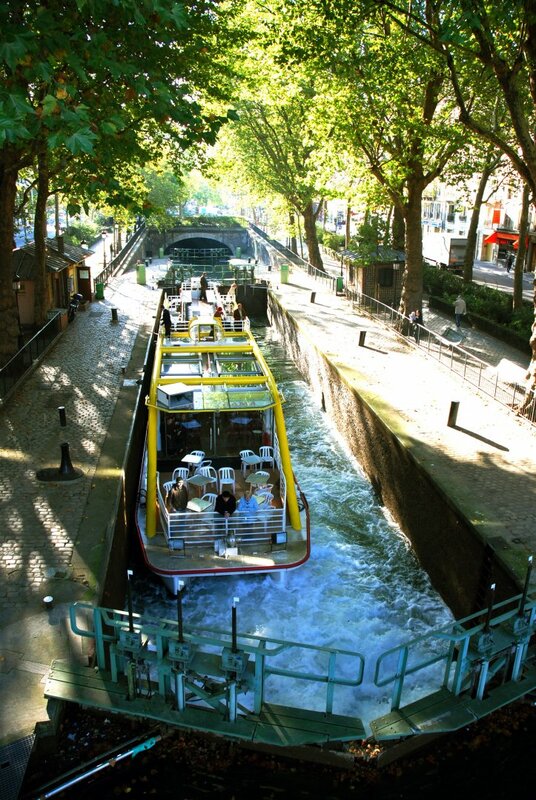 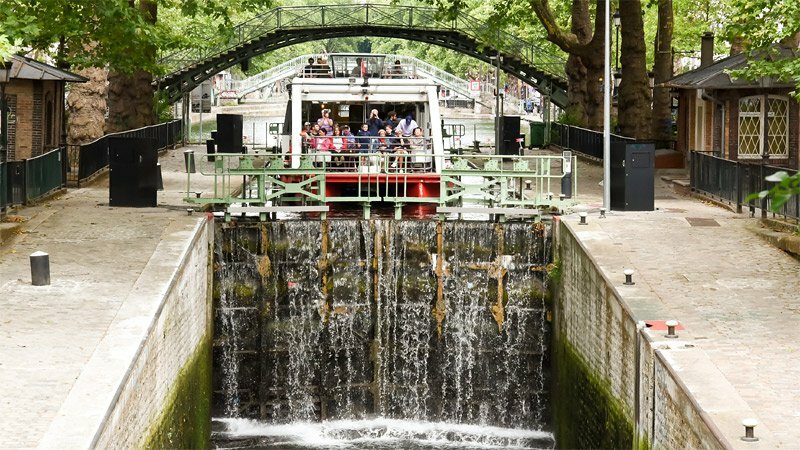 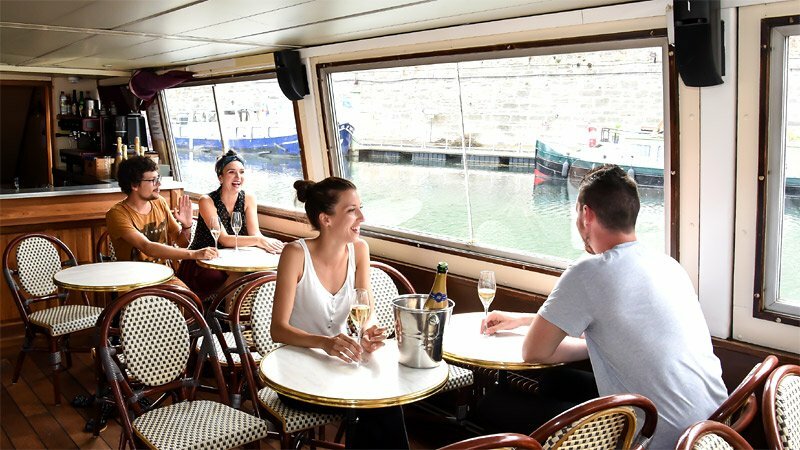 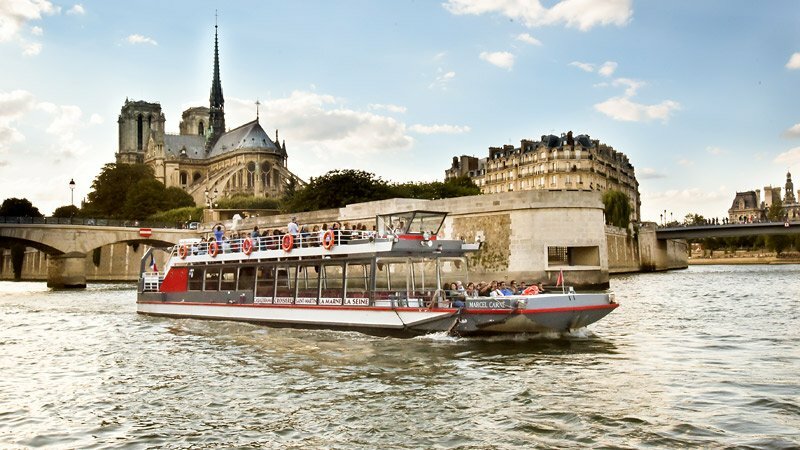 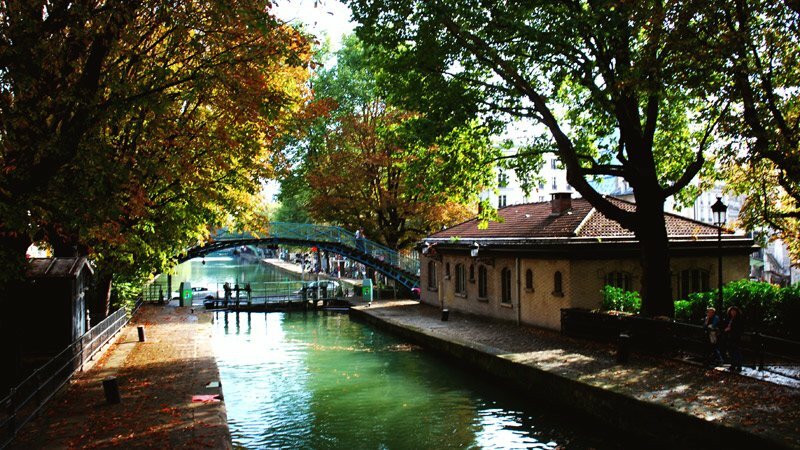 This cruise, which will take you through four double locks with swirling waters and two swing bridges, will allow you to experience the “atmosphere” of the Hotel du Nord created by Marcel Carné, Arletty and Louis Jouvet and share the pleasure of the walkers strolling along the banks lined with pretty boutiques and charming retro style cafes. 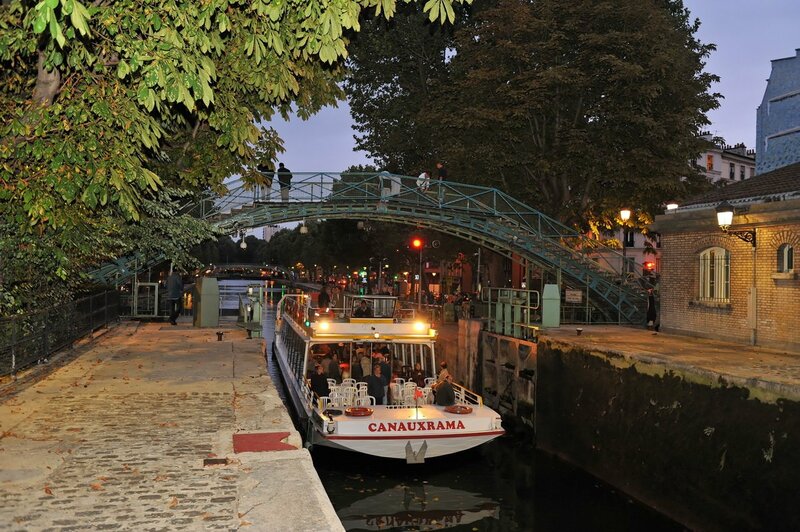 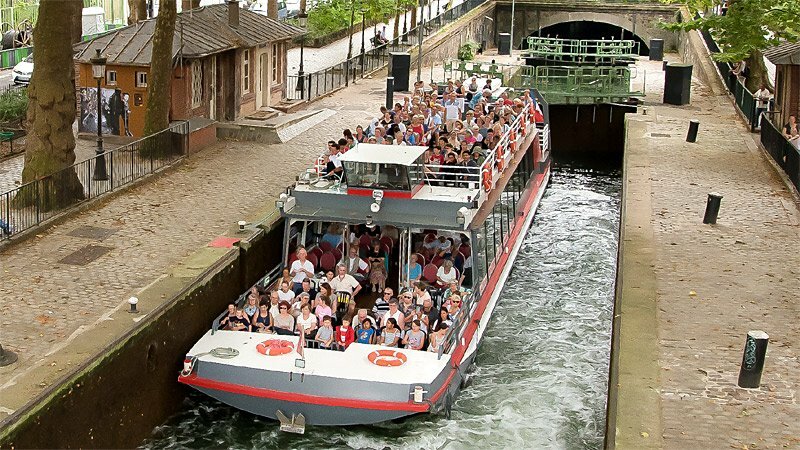 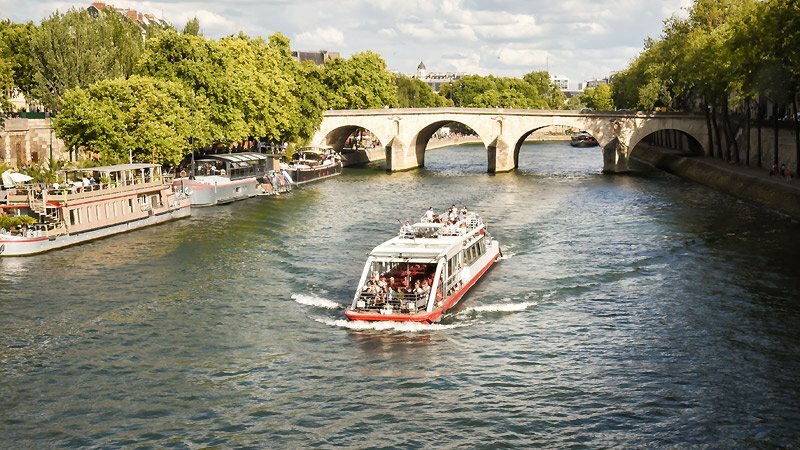 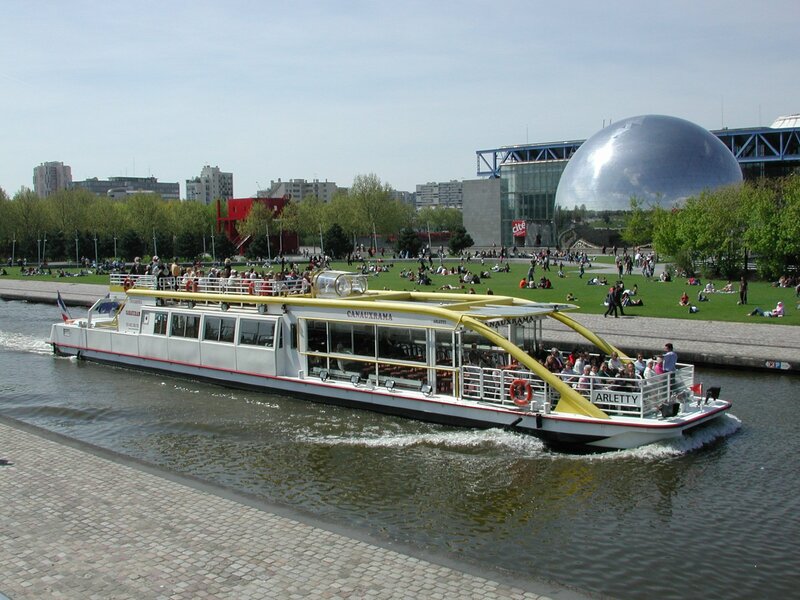 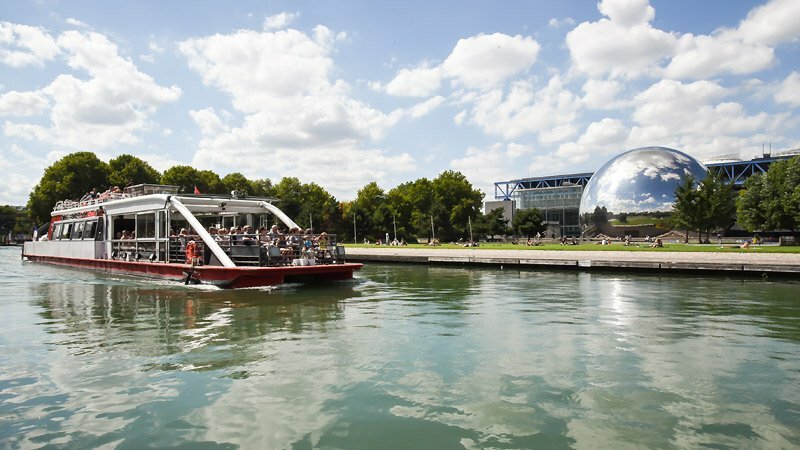 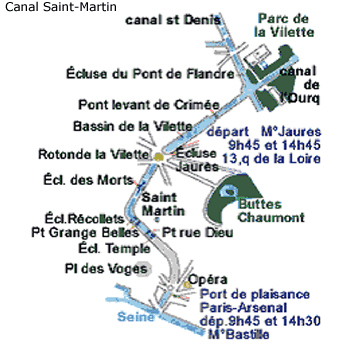 Before arriving at the Parc de la Villette (City of Sciences, The Géode, City of Music and themed gardens) you will cross the Bassin de la Villette, formerly a trading port now redeveloped to form the setting for the Rotonde de la Villette, and pass below the amazing Crimée drawbridge.